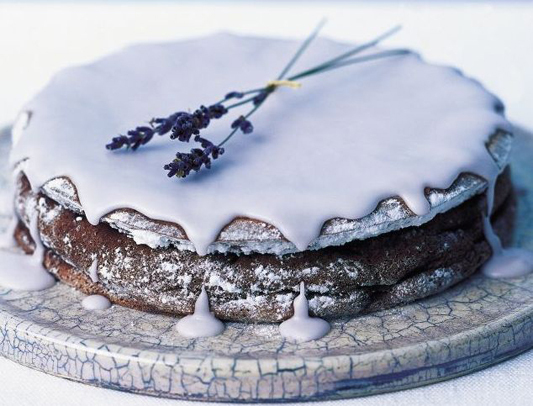 We were stopped in our tracks by this beautiful olive oil and sauternes cake with lavender icing and just had to share. To make lavender icing infuse the juice of a lemon with 1tsp of lavender flowers. Mix 150g of icing sugar with about 3 tbsp of the strained lemon juice then add some food colouring to get the pale lavender shade. Or you can try this recipe for lavender frosting. This is gorgeous and sounds delicious! I may have to try it!